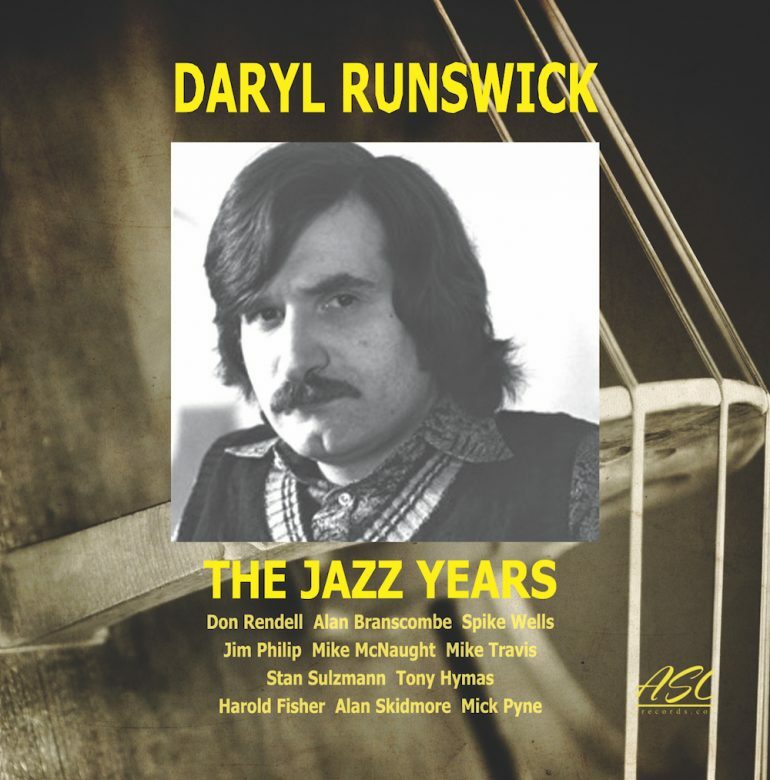 The Jazz Years collects together previously unissued live quartet recordings by bassist Daryl Runswick made between 1970 and 1978, together with a solo track from 1967. The bands feature some of the most well known names in British jazz, such as saxophonists Don Rendell, Stan Sulzmann, and Alan Skidmore, pianist Mick Pyne, and drummer Spike Wells. It might be easy to consider The Jazz Years as a historic document, but the music - mostly composed by Runswick - stands on its own terms, too. Runswick was clearly a fine bass player and composer. Starkers is a fast romp, Runswick's bass walking at top speed behind a sparking soprano solo from Rendell. Lainey's Tune, from the same 1973 session for the Darryl Runswick Quartet, is a slower, more thoughtful number. The earliest group session, the London Jazz Four from 1970, features two covers of pop songs from the era. MacArthur Park starts as a fairly standard exposition (as standard as a bonkers song about about baking can be) but develops into something much more interesting as Mike McNaught's slow piano solo explodes into a fast post bop workout. The 1974 and '75 sessions of the Darryl Runswick Quartet featuring Sulzmann and Tony Rymas on piano with Wells (74) or Harold Fisher (75) on drums yield some fine tracks. Sulzmann's Anagram balances a jaunty rhythm with long notes on his saxophone, before he launches into a fiery sax solo. Skreepin', by Hymas, features Sulzmann on soprano. Alan Skidmore is captured in full on Coltranesque form on Runswick's Hamrun, together with a powerful solo from Mick Pyne on piano. Aside from the quality of the playing, the one constant throughout is of course Runswick. His bass playing is eloquent and articulate; his solos are engaging, pulling one in and making one listen. His writing, mostly mid paced post bop with nods to jazz-rock on some pieces together with some lovely ballads, is similarly appealing. The two CD set is bookended by two versions of Wyntones The first features Rendell on flute from 1973; it feels exploratory, a tune finding its feet. The second is from the 1978 session with Skidmore and Pyne and is much more self assured, the musicians bringing a sense of maturity, in particular evident in Runswick's bass solo.